As part of its Good Business Journey, Woolworths is proud to support initiatives like Qhubeka. Through partnerships with customers and organisations like Qhubeka, Woolworths is increasing awareness of the social issues in South Africa, while actively supporting social upliftment projects in South Africa. Through the sale of each bag, Woolworths donates R10 to Qhubeka. Qhubeka is a charity that moves people forward with bicycles. It takes its name from an Nguni word that means “to progress”, “to move forward”. People earn bicycles through Qhubeka’s programmes, improving their access to schools, clinics and jobs. With a bicycle, a person can travel further, faster, and carry more. We are World Bicycle Relief’s programme in South Africa. World Bicycle Relief is a non-prot organisation transforming individuals and communities through The Power of Bicycles. We accomplish this mission by designing, sourcing and manufacturing bicycles created to withstand rough terrain and load requirements while meeting the needs of students, healthcare workers, farmers and entrepreneurs. We strengthen local economies and promote long-term sustainability by assembling bicycles locally, training mechanics, improving the spare parts supply chain, and providing high-quality, aordable bicycles to people in need of transportation. Qhubeka believes that bicycles change lives. Bicycles help people to get where they need to go, and to do things that are difficult without transport. This includes fetching supplies, travelling to school or work, visiting a clinic, or providing emergency help after a disaster. Schoolchildren: Schoolchildren earn Qhubeka Bicycles by committing to improve their school attendance. Bicycles make it easier and faster to get to school. Adults: Adults earn Qhubeka bicycles in many ways, from growing trees to recycling waste, making crafts, volunteering with a community policing forum, or servicing bicycles. Disaster relief first responders: Qhubeka provides bicycles for first responders following a disaster. Bicycles can be used to transport life-saving services and gear. Funds raised through the purchase of these bags will go towards bicycles for people who are part of Qhubeka’s programmes. Every Qhubeka Bicycle distributed changes an average of five people’s lives. By helping Qhubeka to fund more bicycles, you can help more people to access transport, which opens up a world of opportunities. 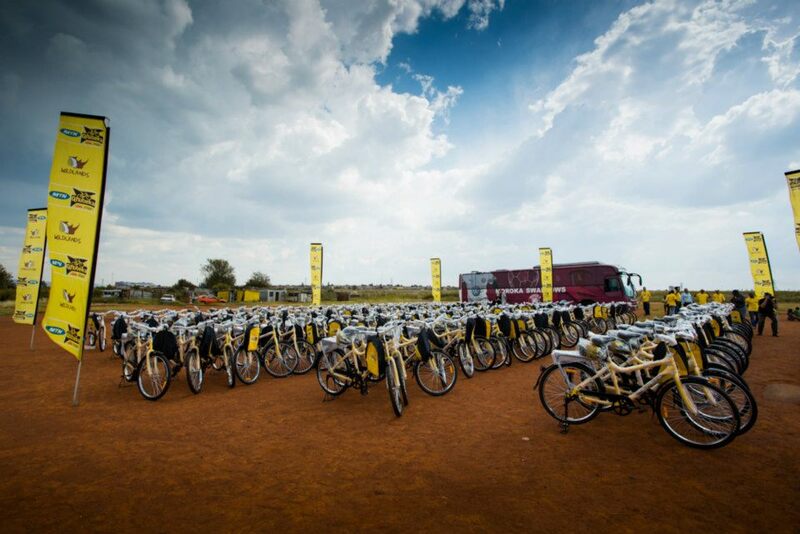 Qhubeka was founded in 2005 and has distributed more than 80 000 bicycles to date. Qhubeka’s ultimate goal is to change a million people’s lives with bicycles. All Qhubeka’s work into communities is facilitated through local implementation partners, and through public / private / community partnerships. Buy a bag and share the message! 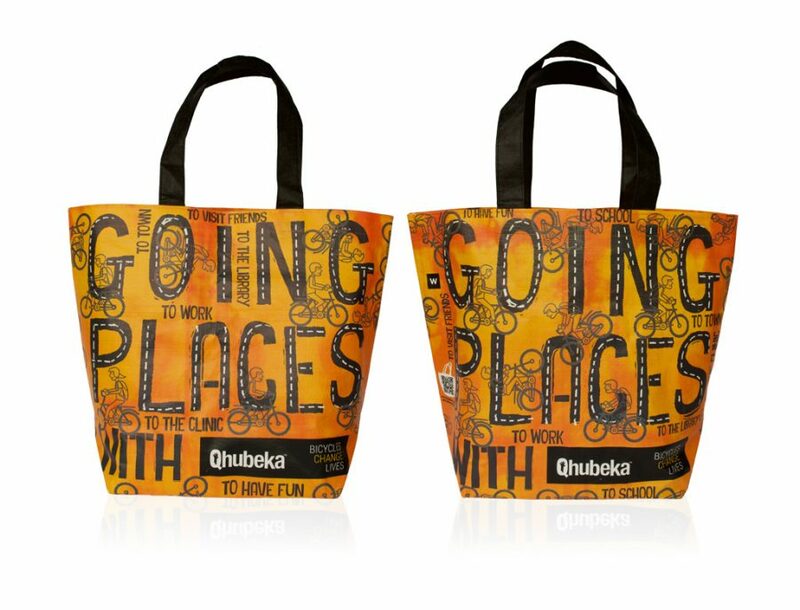 For every 285 bags sold, Qhubeka is able to change another person’s life for good with a bicycle. Qhubeka is a registered MySchool charity. People can make Qhubeka their charity of choice, which allows them to support Qhubeka each time they shop at a MySchool partner. Donate to or fundraise for Qhubeka. To find out more, visit the Qhubeka website.